The Akye people numbering 55.000 constitute a part of the Akan group of ethnicities. 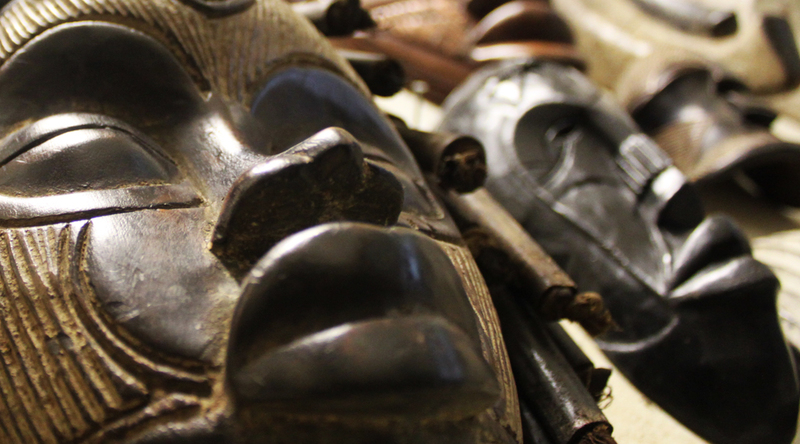 Woodcarving includes human statues, stools, which are recognized as “seats” of power, wooden dolls – Akuaba associated with fertility, and also ivory and brass objects. Lost-wax casting processes were highly developed among the Akan – both gold and brass were caste. There are also extensive traditions of pottery and weaving throughout Akan territory. Kente cloth, woven on behalf of royalty, has come to symbolize African power throughout the world. Standing and seated statues with bulbous arms and legs produced by the Akye show strong Baule influence, but they are very marked by their distinctive style. Often the hairdo is geometric. What is unusual is that the relief scarification marks are achieved by insertion of small wooden plugs into the carving. Representing the forces of female fecundity, these statues were used in rituals to make these forces work. This type of statue was known under the tribal name of alangua.